Happy couple. (Photo: Getty Images/Gallo Images). Want the secret to a happier, healthier relationship? Well, it seems researchers might just have discovered it. And it’s far simpler than you think. Instead of referring to yourself individually, opt to use the pronoun “we”. For example: “We don’t enjoy useless conversation” or “We’d prefer to stay indoors tonight”. Researchers from the University of California Riverside analysed 30 studies of about 5 300 participants, The Metro reports. They found couples who often say “we” and “us” have more successful relationships and are happier. 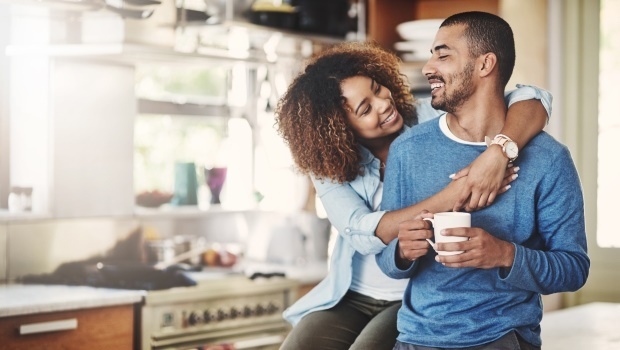 To conduct the study, couples were analysed in five measures: relationship outcomes, relationship behaviours, mental health, physical health, and health behaviours (how people take care of themselves). The conclusion was that there’s benefit in all five measures among couples who regularly use “we” instead of “I”. Megan Robbins, lead researcher in the study, says “we-talk” is an indicator of interdependence. This means two people play a part in each other’s thoughts, feelings and behaviours, Bustle writes. Interdependence is shown in a relationship when couples provide support for one another in stressful times and make decisions together as a couple. So we’ve established there’s a link between saying “we” and having a happier relationship. But what we don’t know is the cause and effect. Are happier couples more likely to say “we” or does saying “we” make you happier? It’s yet to be determined but moral of the story? There’s happiness in vocalised unity. Hugs and kisses? Or chocolates and flowers? What's your partner's love language?